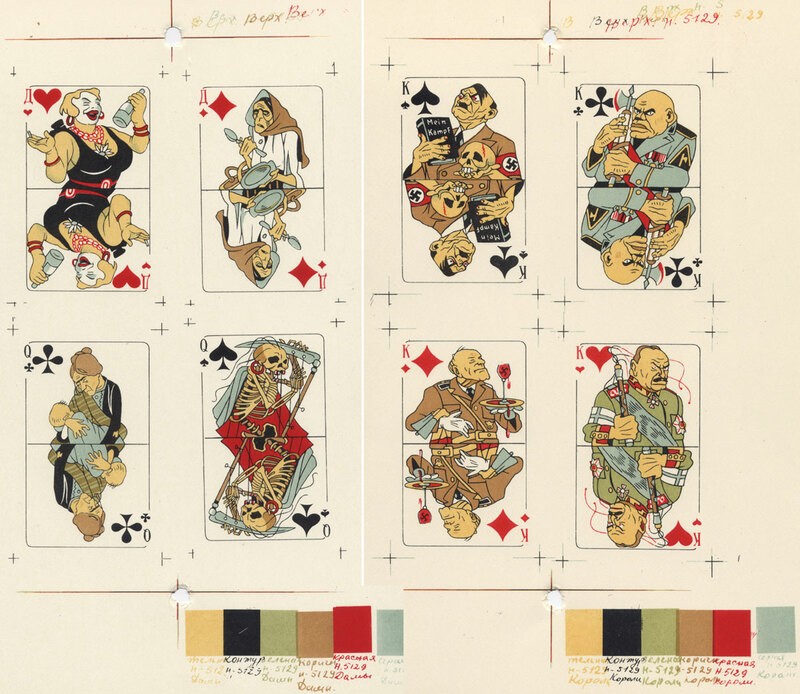 Above: a selection of the original cards from 1943, with Russian indices, also showing the cropping guide marks and colour palette. 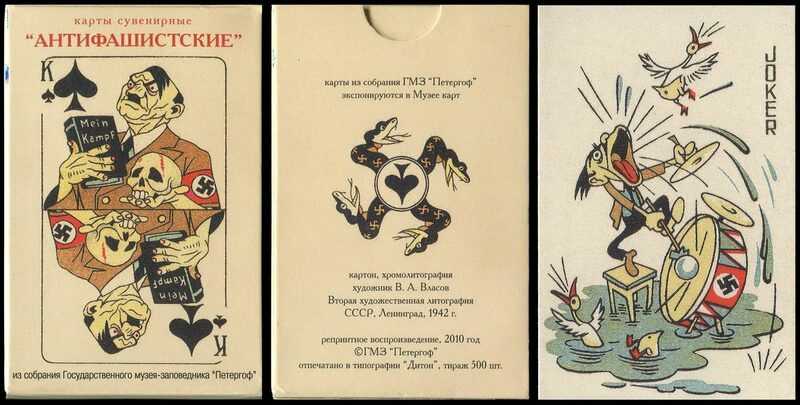 Images courtesy Valentin Krasavin. 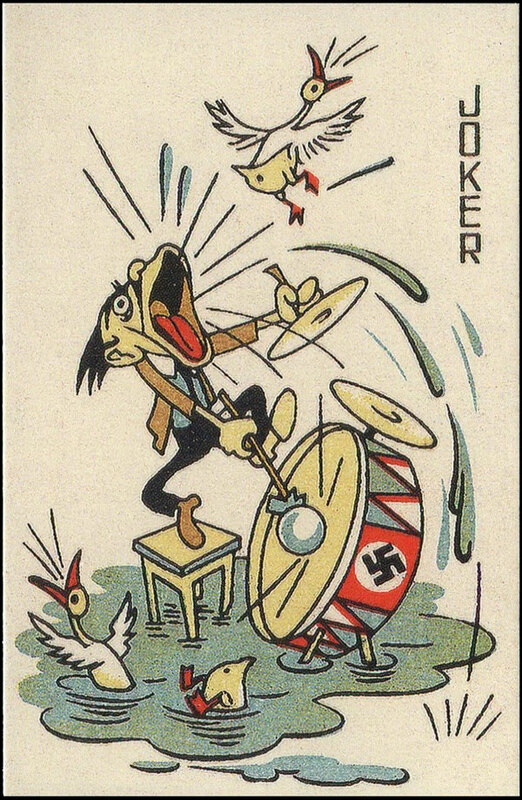 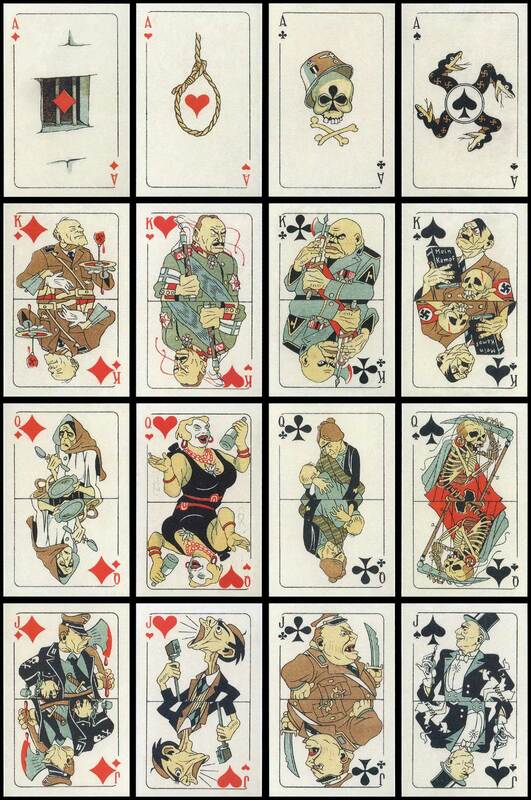 Above: a re-print of the Anti-fascist playing cards published by Peterhof State Museum, 2010. 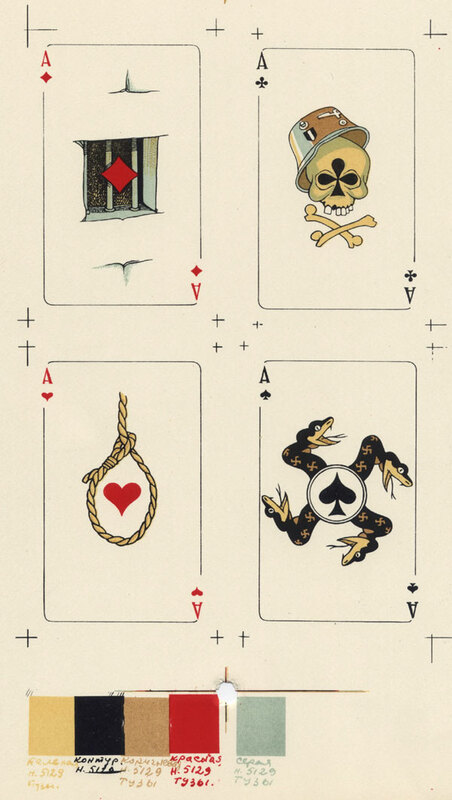 Images courtesy Valentin Krasavin. 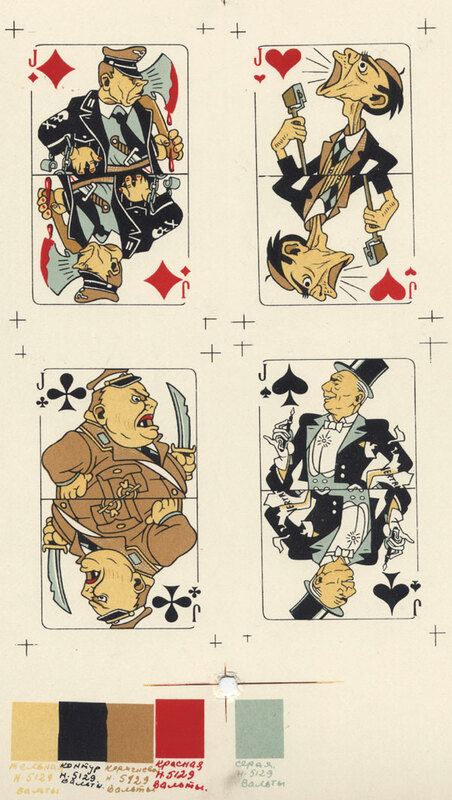 Mētra, Jānis: Propaganda Pack for the Siege of Leningrad, in "The Playing Card" Vol.32 no.3, Nov/Dec 2003, IPCS, England.